Cheap cabs welcome you on the red carpet of our services @the whole new fleet of Innova Cars. Traveling via Innova Car is the best way to define luxury. Our fleet, very carefully and very hygienically, handled by sound chauffeurs. Just hire us and do the Delhi Darshan by car at your own comfort. We will make it approachable for you with all comfort and luxury. If you are still over where to visit in Delhi, or you think you have seen the whole of Delhi then think once again. Check out the 50 best places to visit in by being in Delhi. Not only it is the car that matters but also the drivers who take care of the car also matters. 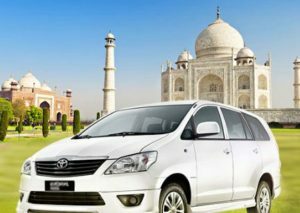 Our Drivers/Chauffeurs help our customers in enjoying their trip, while they have an affordable ride on innova for rent Rs 10 per km. Drive Slow and Enjoy the Scenery or Drive Fast and Join the Scenery. We inculcated this in our service ethics. We provide very calm environment inside the car and make you enjoy in the best possible way by showing you en-route sight-seeing. Innova is counted among the luxury class of cars. Even high-profile customers prefer Innova cars for travel. Customers traveling intercity, intracity, short-distance journey and even for enterprise & corporate clients make Innova their first priority. Here at cheap cab, you will find right amalgamation of clean, hygienic car and the drivers/chauffeurs operating those cars. Our drivers keep themselves ready for all up and down during trips and don’t let other travellers get into any problem. They are very well-versed about roads and routes. They even keep themselves updated about road conditions and latest traffic scenarios. We provide various complementary services to rejuvenate experiences of the clients every time. Just few clicks and you will be in contact with us. You can call us on or cheap cab Delhi customer care number provided above. Our team is available all the time to provide all information regarding itinerary and booking. You can also book car of your own choice from our website. Choose a pickup time and get ready to enjoy your trip with cheap cab.